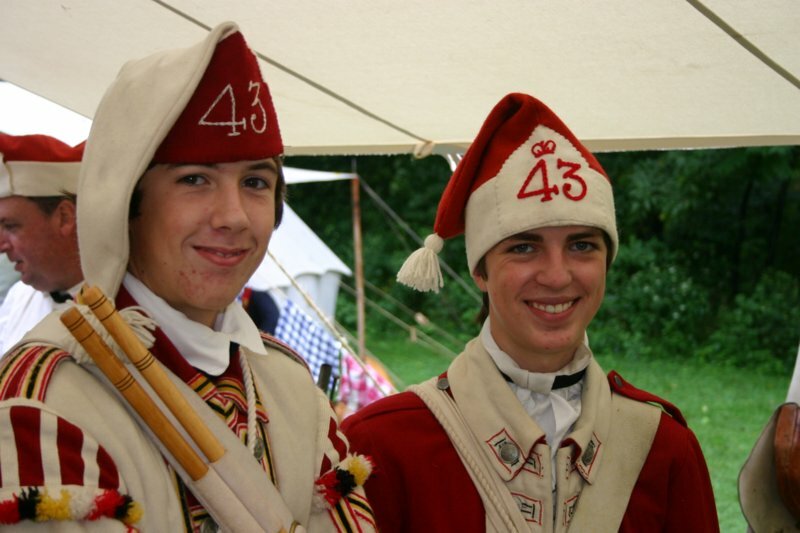 The 43rd Regiment of Foot was raised in 1741. Its first visit to America was in June,1757 when it arrived off Halifax to participate in the French and Indian War. In September, 1759 it was the center of Gen. Wolfe's line on the Plains of Abraham before Quebec and won acclaim for its bravery and discipline in that British victory. In July, 1762 it again distinguished itself at the storming of Havana, Cuba. Afterwards, it was stationed in Jamaica, where it remained until March, 1764 when it sailed back to England. The 43rd of Foot left Portsmouth, England for America again in June, 1774 as the first of ten regiments sent to bring order to the chaotic situation in Boston, MA. This augmentation brought the total number of British troops in all America up to just over 8,500 men. At this time the “establishment” of a regular British Regiment of Foot consisted, on paper, of 477 officers and men divided into ten companies. Sickness, absence and other issues consistently brought the strength of each company below what was called for. 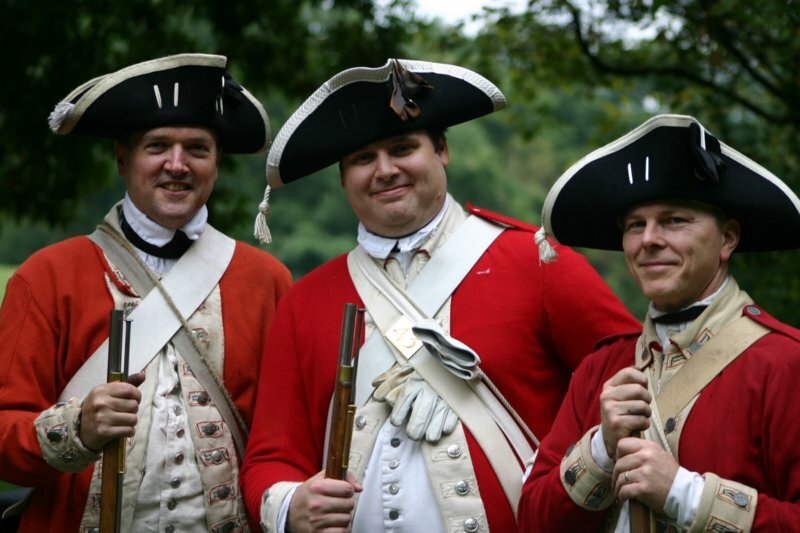 The Light Company of the regiment was one of several engaged at Concord Bridge on April 19, 1775 under the command of the 43rd's Capt. Walter Laurie. 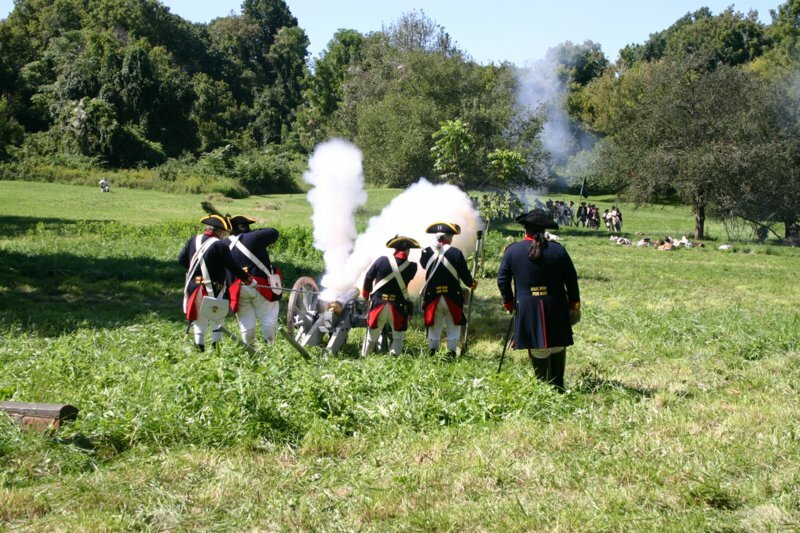 If, as it seems, no actual command to fire was given at Lexington Green earlier in the day, Laurie was the first British soldier to order his troops to fire on Americans. The first three British dead of the Revolution are from the Light Companies under his command. On that historic day the 43rd lost four enlistedmen killed, five enlistedmen wounded and two captured. 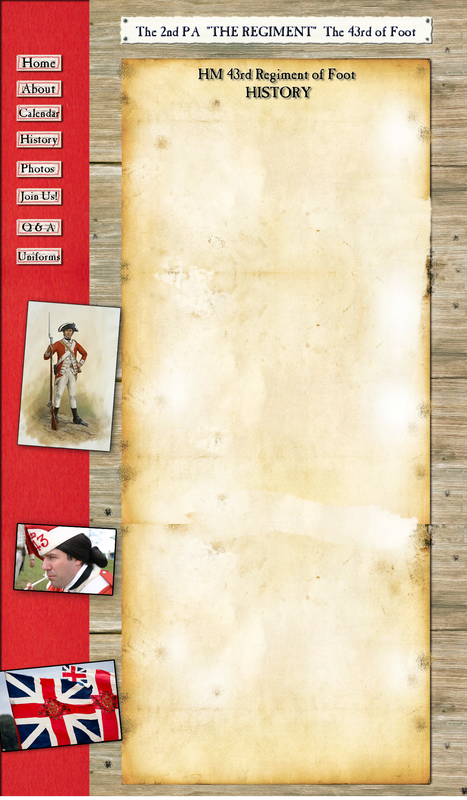 Twenty-two-year-old Ensign Jeremy Lister of the Tenth Regiment recalled in his journal “Mr. Simes Surgeon’s Mate to the 43rd Regiment” extracting a ball from his arm. It was a busy day and confused retreat for all the King’s men and the equipment returns afterwards showed the 43rd with 11 muskets lost and one broken. 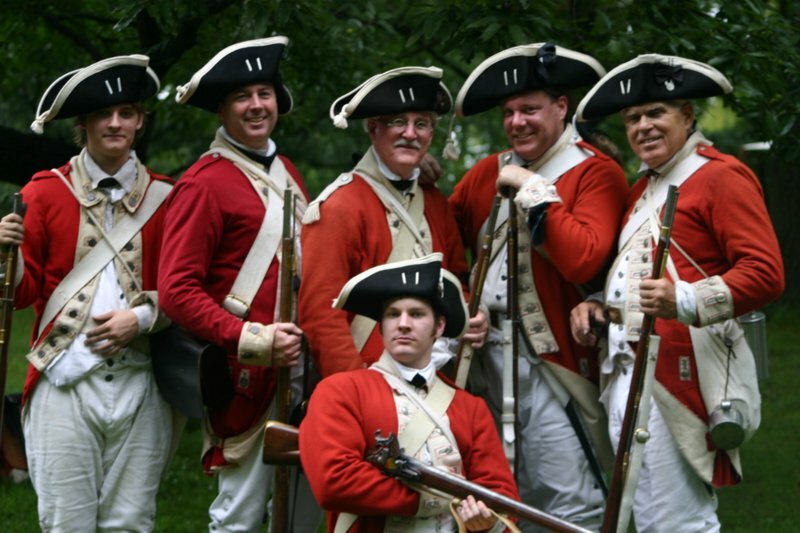 The regiment was involved in minor actions with the patriots during their siege of Boston. On June 17, the entire unit participated in the bloody attack on Bunker Hill (actually the adjacent Breeds Hill) and was part of the third assault that carried the enemy positions at the point of the bayonet, storming the eastern face of the Patriot redoubt. The 43rd lost two sergeants and 20 enlistedmen killed and three sergeants, two drummers and 77 enlistedmen wounded - very heavy casualties at a time when few regiments could muster the 477 men called for in regulations. Among the 43rd's losses was Major Roger Spendlove, who was mortally wounded. 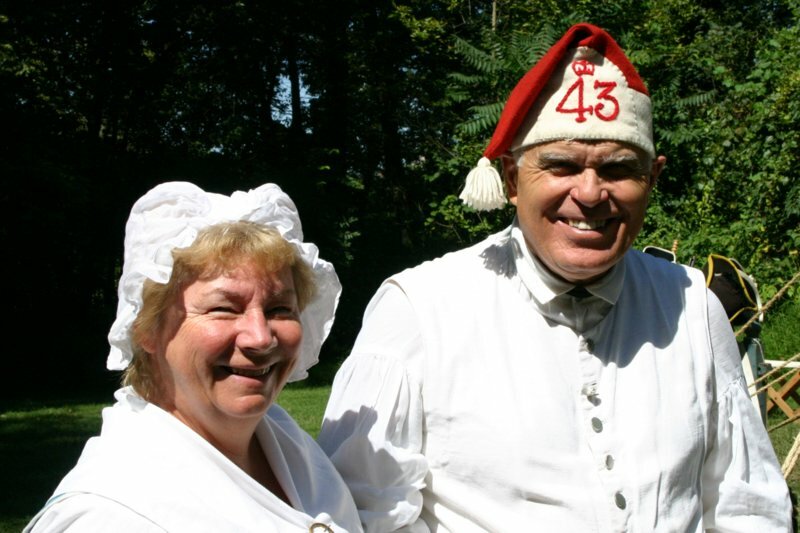 The unit’s major since February 1773, he had served the 43rd with "unblemished character" for 40 years. A 57-year-old native of Clive, Shropshire, England, Spendlove had been wounded four times previously in its service. The total loss for the British in this engagement was a staggering 268 killed and 828 wounded. With the patriots seizing the high ground around the city, the British Army, including the 43rd, left Boston on March 17, 1776 aboard 120 ships carrying 8,906 King’s troops, 667 women, 553 children, and an additional 1,100 loyalists. The force sailed for Halifax, Nova Scotia, which it reached on April 4, to reorganize and prepare to assault New York City. On July 3, 1776, the day before America proclaimed its independence, the 43rd landed in New York as part of the Fifth Brigade under Brig. Gen. Francis Smith (Lord Percy’s Division) which also included the 63rd, 54th and 23rd regiments. As “First Line” troops it participated in the Battles of Long Island (Aug. 27), Kip's Bay (Sept. 15) and White Plains (Oct. 28), as well as the victorious assault on Ft. Washington (Nov. 16), the last patriot stronghold on Manhattan Island. In late November, 1776 the 43rd embarked for an assault on Rhode Island (considered “the principal base of American privateers”), landing at Weaver’s Bay on December 7 where it met only slight opposition. The capital city, Newport on Aquidneck Island, was occupied and the 43rd, along with the 22nd and 54th regiments and several German units, became part of the long-term garrison of Rhode Island. There was little major action for the occupying forces except for scattered attacks by small groups of Americans on various sentry posts. On March 13, 1777 the British Artillery destroyed a “Rebel Galley” and the following day British commander Lord Percy commended in General Orders the artillerymen and added “He also desires that Henry Pickles, Private soldier in his Majesty’s 43d Regiment may be informed that he is extreamly pleased with his spirited conduct, in Swiming on board the Galley.” This was a brighter spot for the 43rd in the General Orders than the entry for December 26 announcing that a Court Martial had acquitted ”Cpl. William Shearman of the 43rd Regt.” of the murder of “Alexander Sinclair of the said regiment.” No additional details were given. The overall infrequent activity seems to have demoralized some of the men as records show the 43rd had two suicides on consecutive days. One man took his life by drowning and the other shot himself because of a connection with a married woman of the regiment. Patriot troops had been in a long standoff with the Crown forces around Newport almost since the British first landed. Finally, on August 29, 1778 the 43rd drove the militia and regulars from nearby Quaker Hill (aka Windmill Hill) in a general assault that caused the Continentals to abandon the island. The fight cost the regiment 3 killed, 16 wounded and one missing. In his general orders following the battle, the commander-in-chief particularly acknowledged "with great applause the spirited exertions of the 43rd under Colonel March." 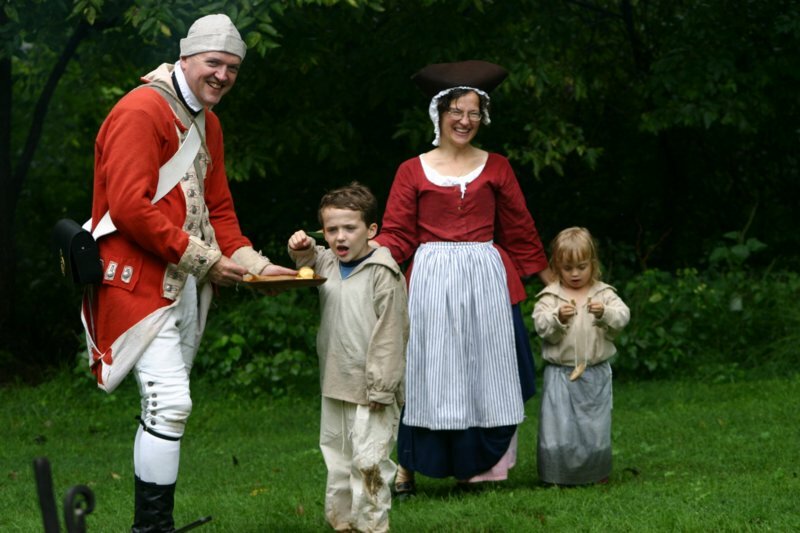 The unit remained in occupation of the state until being returned to New York on October 25, 1779 where it spent the winter at Huntingdon, Long Island. According to the victualling returns for that post, in November 1779 the 43rd numbered 405 men, 46 women and 45 children. In March, 1780 Capt. William Thorne led a detachment on a "rebel-catching, house-burning raid" through Hackensack, NJ. The regiment was also engaged in other raids into New Jersey and Connecticut the remainder of the year. On June 9, during a demonstration by the New York garrison into New Jersey, the 43rd’s Lt. William Sherlock was captured in a hen roost, “fowl-in-hand,” along with about 6 rank and file in Elizabeth Town after having been tempted too far from the picquets by the thought of a chicken dinner. 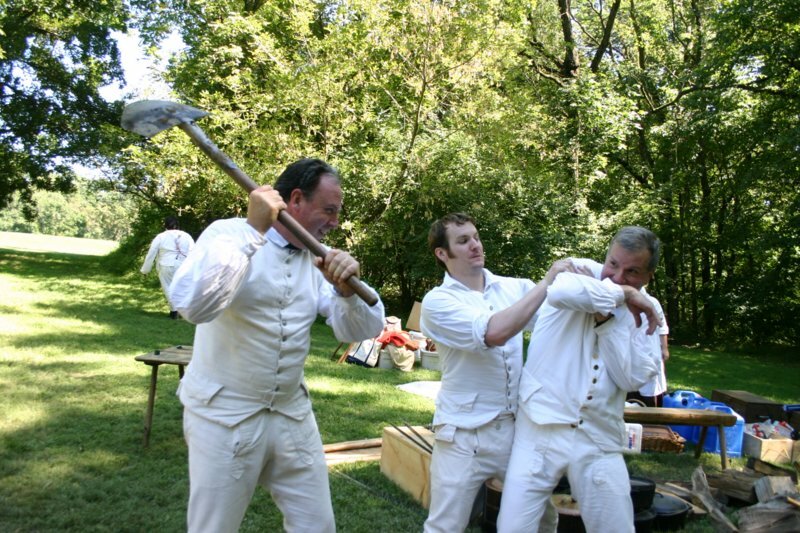 On June 23, the demonstration culminated with the Battle of Springfield. Here the British advance was stopped by a reinforced Continental force that included a large number of New Jersey militia and the 43rd returned to Staten Island with the rest of the army later the same night. This was the last major engagement of the Revolutionary War in the north and effectively put an end to British ambitions in New Jersey. On April 30, 1781, the 43rd was one of two regiments sent to Virginia to reinforce Cornwallis, landing from the transport ship “Apollo” at Brandon on the James River on May 26. 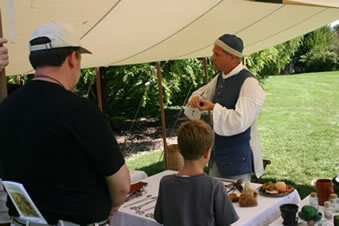 On July 6 the 43rd was engaged at Green Spring (aka Jamestown Ford) losing two killed and one wounded. Here the 1st, 2nd, and 3rd Pennsylvania regiments commanded by Gen. Anthony Wayne ran headlong into the British left wing: a brigade under Lieutenant Colonel Dundas consisting of the veteran troops of the 43rd as well as the Scots of the 76th and 80th Regiments of Foot. Thus, it was here that the 43rd found itself in a fight against troops that included those from the Second Pennsylvania, making this event probably the only time during the war that men of each unit actually faced each other. Dundas sent his men forward in a bayonet charge that sent Wayne’s men reeling in retreat, but Wayne then answered with a counterattack that stunned the British. Both sides then exchanged savage volleys of musketry for 15 minutes before the outnumbered Wayne fell back to Richmond as the sun set. The British lost 75 officers and men, the Continentals about 140. On July 18 the 43rd, now commanded by Maj. George Hewett, embarked at Portsmouth, VA for Yorktown aboard the Brig Betsy. Beginning on Sept. 28, the regiment was besieged with the rest of the British Army at Yorktown, where it was stationed in “the advanced redoubt on the left” (probably the one known as Redoubt #10) with the 33rd, 71st and 80th of Foot and two German units. During the siege it sustained casualties of ten killed, 18 wounded and 12 missing. At least one officer, Capt. Duncan Cameron, distinguished himself at the American assault on the redoubt the night of October 14. Five days later Cornwallis was forced to surrender. The strength of the regiment at the capitulation on October 19 was 12 officers and 345 rank-and-file. It also surrendered both its colours. 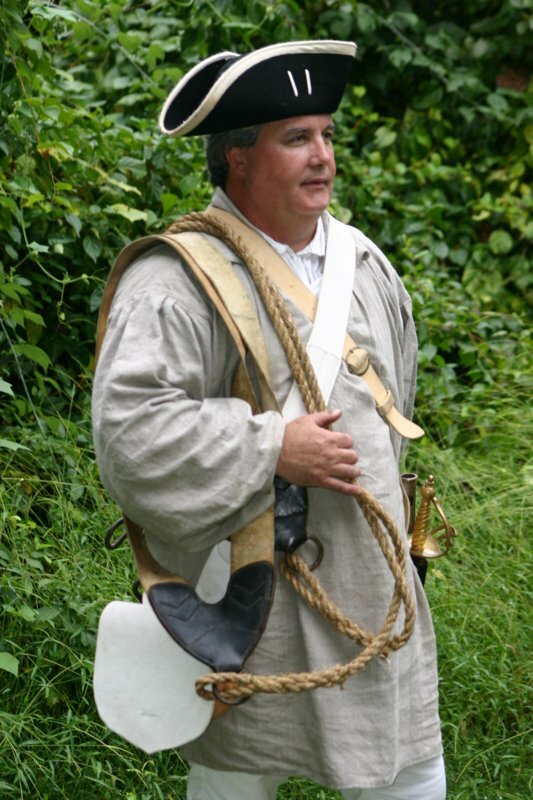 Following the surrender, the Battalion Companies were among the 3029 captives interned until May, 1783 in Winchester, VA, (an additional 2093 Yorktown captives were held at Ft. Frederick, Md. including the 43rd’s light infantry company). Finally, the men of the 43rd were part of the last embarkation for England from New York City on November 25. 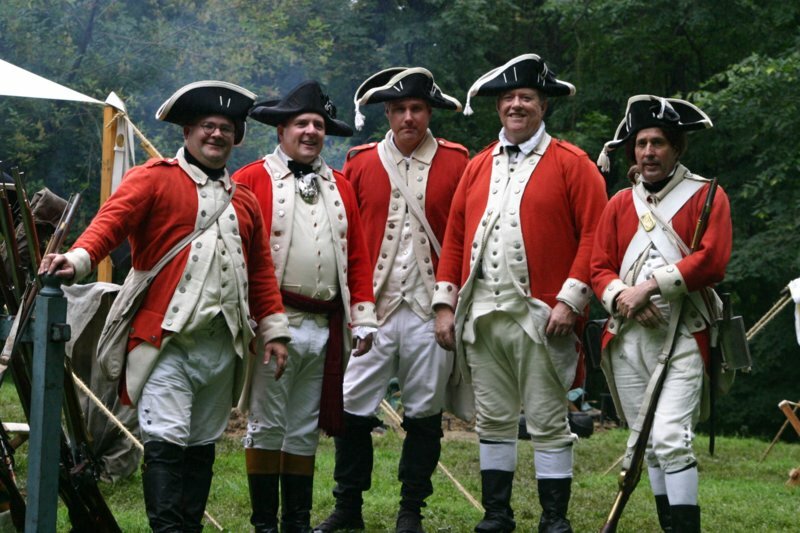 The 43rd Regiment of Foot was one of the very few British military units to serve on the continent for the entire length of the American Revolution. It was to make yet one more excursion to the former colonies as part of the British force that unsuccessfully assaulted New Orleans in the War of 1812. Today its heritage is preserved as the 1st Battalion of the British Army's famed Royal Green Jackets.